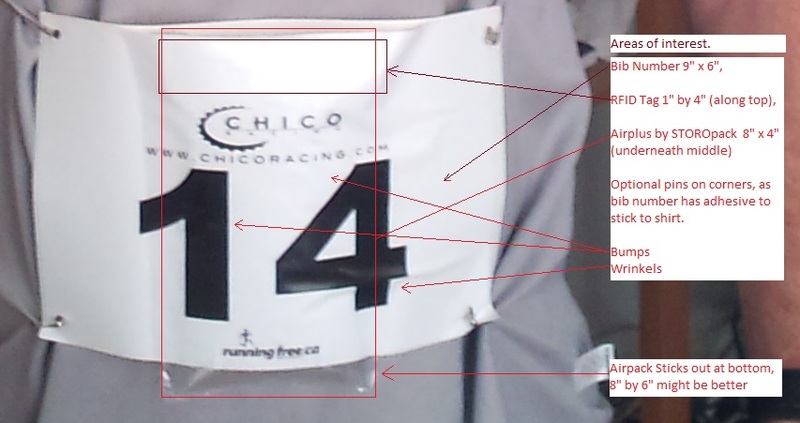 Attaching RFID tags to bib numbers worn by competitors exposed a major flaw with the 900 MHz system. A close fit to the human body prevents the tag from being read. So we need to create some space between the tag and the participant. Foam is a good choice. While looking for the ultimate lightweight backing material to allow Gen 2 RFID tags to be attached to racers bib numbers, I found these 4" by 8" packing spacers called Airplus made by STOROpack, which are little plastic bags filled with air. These were thick enough to get the tag away from the body so that the RFID reader can detect the tags attached between the bib number and the little pillow. Several issues need to be resolved, such as unexpected deflation, and awkwardness of handling a large number of bibs, picking the right size, and attaching it to the back of the bib, and getting a supplier. 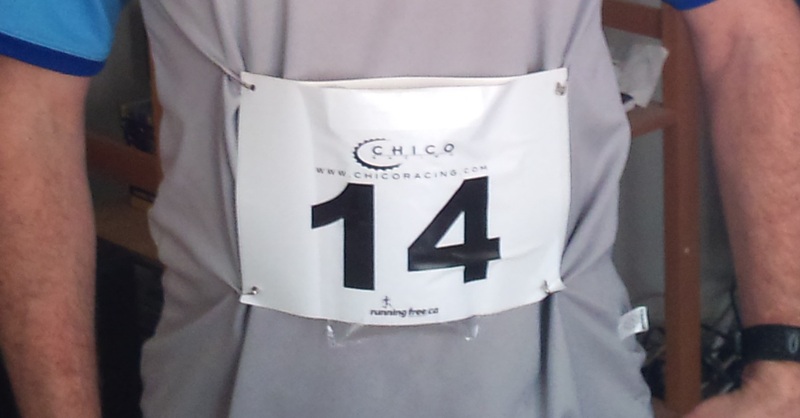 But the potential is promissing if you could get the Airplus things printed like a bib number.